A few weeks ago, the Court of Appeal issued a judgment that only workers who were employed after 2015 can retire at the age of 60. The Court of Appeal said anyone who was employed when the retirement age was 55 in the national law will have to retire at 55. In terms of hierarchy, the court of Appeal is the second highest court in Zambia. The highest courts are the Supreme Court and Constitutional Court which are at the same level. Surprisingly, most senior civil servants who are above 55 years are still working and government is mute on this very important matter. Here is one clear example of a civil servant working illegally as she reached her retirement age probably 10 years ago. 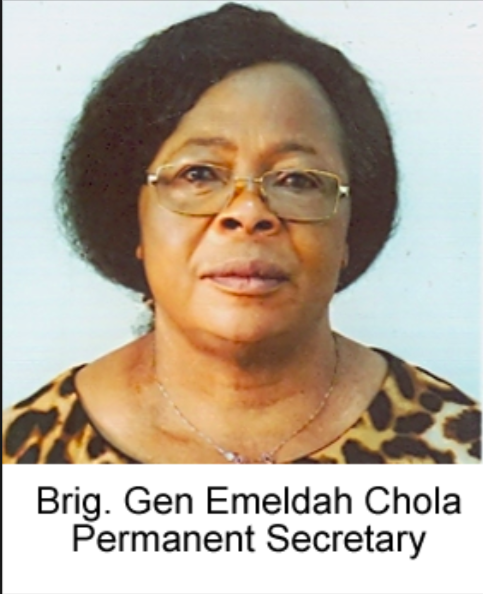 Her name is retired Brigadier-General Emelda Chola. She is the Permanent Secretary in the Ministry of Energy and Water Development. She has been working in the Public Service for more than 40 years. Before her current illegal position, she served in the Ministries of Defence and Home Affairs in the same capacity. Remember that she retired from the military before joining the publc service. Does it mean that the law only applies to junior people like those miners who were forced by ZCCM to retire at the age of 55? Will the money Emelda Chola drawing from government illegally be recovered? 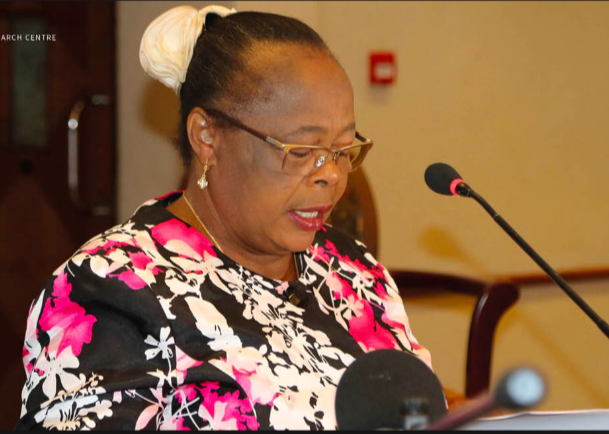 The Court of Appeal agreed with ZCCM saying that laws do not operate retrospectively (Backwards) so the retirement age in this case remans 55. ZWD will list all the people working illegally when they are supposed to be writing their memoirs. So, the current President’s service in Office can only be reckoned using the 1996 Constitution, and not in reference to the 2016 Amendments? Mutu has a point but the truth also is that Civil Servants have the fear of being on the streets and being retired. So they use all tricks in the book to hang on to jobs including changing their birth years. When Barotseland is free from illegal occupation by the Zambian state, we shall have an early retirement arrangement where civil servants will be requested to retire if they wish after ten, fifteen and twenty years of service. We shall not be allowing any body to work beyond twenty five years of continuous service. Public Service jobs should be free to those that wish to serve in them. But at the same time a huge number of young people should not be denied employment in the service just because some old blocks are clinging to those jobs. Those who cling to public service jobs even when they are supposed to retire and leave jobs for others are the selfish ones. This is simple logic. Poor woman. Is she working on contract or has she been working continuously from the time she joined the public service? If she has been working on contract then she has nothing to worry about. This article may then be a result of a frustrated individual who is eying her job.